The first of the ULTRACOMPUTER albums is only the seventh album on the TKX Vault/Tokyo Exchange label of avant-garde electronic and vaporwave music, and it’s one of the best. 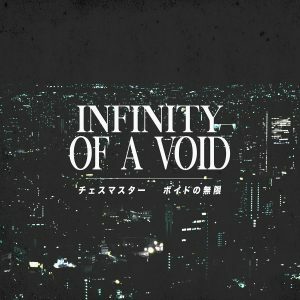 INFINITE 新しい生命システムの音1 utilizes repeated fragments of sound to elicit a glitched state of mind. It’s a concept that’s been done many a time – it even has its own subgenre, “signalwave” – but INFINITE 新しい生命システムの音 is different in its imperfection even within the imperfection, deviating from old film scores to the whirr and click of hard drives. This is the sound of digital field recordings, where computer bloops and bleeps drift about indistinct voices and drones. There’s no timeframe; whereas it’s easy to describe many albums in vaporwave (and it’s permutations) as “futuristic” or “retro,” INFINITE 新しい生命システムの音 kind of exists everywhere at once, being a strange meld of so many different kinds of digital and cultural references. “人生はコンピュータ化された夢です” could’ve been lifted straight from mid-eighties paid programming,2 “アップグレード” sounds like an early Manhattan Research Inc. composition, and “ウルトラシステム” recalls a post-turn-of-the-millennium menu screen. Then there are tracks that have characteristic samples of East Asian cultural music and even soundtracks, often edited to become little more than mindless drones that accomplish much in their sub-two-minute run. This is a discursive piece of work. Few of these samples go with one another, and as stated, there are several connecting trends that one could pull based on common source material by the album’s end. But where a weaker album would fail due to a lack of direction, INFINITE 新しい生命システムの音 sounds the better for it. It’s erratic rather than sloppy. The frequent Japanese voices act as a thru-line, providing an overarching theme and connection as the album progresses. It’s a similar technique as that on 天使 by チェスマスター, but not as gimmicky. INFINITE 新しい生命システムの音 is the hustle of day-to-day life as known by a watchful, naïve hard drive that can only imitate what it sees and hears with the simplest of interpretation as it learns to communicate in its own basic way. The mood doesn’t whiplash so much as it falters in its step. At any second, ULTRACOMPUTER could crash, and its contents would never be recovered. The experience is so quirky as to be occasionally charming, but there’s undeniable intrusiveness to each track, as if one is glimpsing into something a bit too personal that our computer didn’t understand but reported anyway. Perhaps that’s a bit too cynical of wording: ULTRACOMPUTER is taking in a lot, and it’s doing its best to make sense of it all. After all, this is not just a computer, it’s a New Life System, too. If follow-up album SUPERCARTRIDGE were to be described as a hidden gem for a small subset of vaporwave listeners who are interested in the deepest of retro aesthetic, INFINITE 新しい生命システムの音 will appeal to a much larger base. Each computer click sounds so tenuous and each track change so abrupt, it’s like listening to a barely-communicating drive straining its hardest to tell a message. As for what that message is – well, I’m at over six hundred words and I’m still having fun trying to figure it out. 2… and foreshadow ULTRACOMPUTER’s second and final album, SUPERCARTRIDGE.